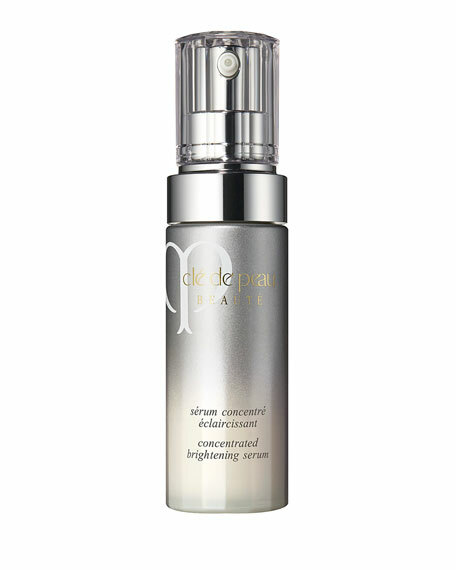 Cle de Peau Beaute Concentrated Brightening Serum, 1.3 oz. 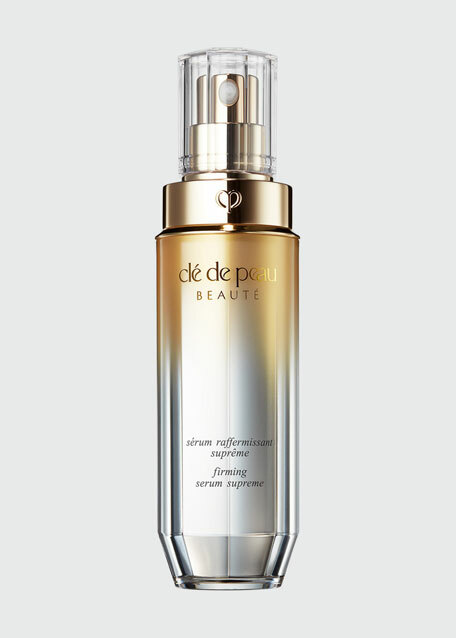 Cle de Peau BeauteConcentrated Brightening Serum, 1.3 oz. 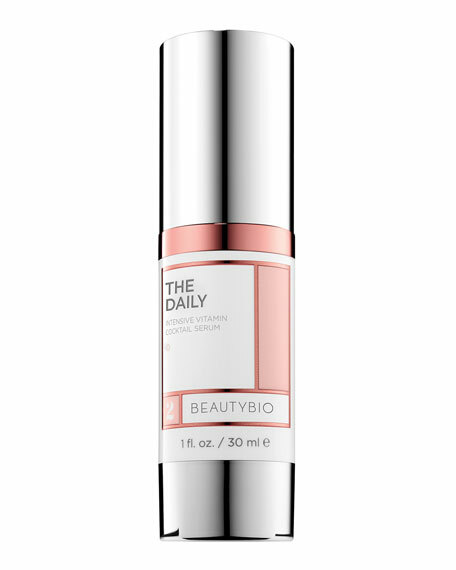 Unlock skin's brilliance with this comprehensive facial brightening solution that works extensively to control the appearance of dark spots, dullness and unevenness while retexturing and firming skin's appearance, for exquisite clarity, radiance and translucency. In a newly intensified formula, this precious silky serum reveals enhanced clarity, radiance and translucency by ensuring a smoother skin turnover process. 4MSK and Tranexamic Acid help target the appearance of prominent dark spot areas for beautiful brightness. L-Serine and Super-Bio Hyaluronic Acid help deliver moisture for reduced roughness and a soft, supple look. Uncaria Gambir Extract helps reveal youthful-looking skin. Raspberry Leaf Extract, Black Tea Extract, and Olive Leaf Extract help reduce visible cloudiness and provide clear tones for captivating translucency. Ensures a smoother skin turnover process. Citrus Unshiu Peel Extract and Yeast Extract help reveal skin with an exquisitely clear brightness by ensuring a smoother skin turnover process to reduce the appearance of dark spots. 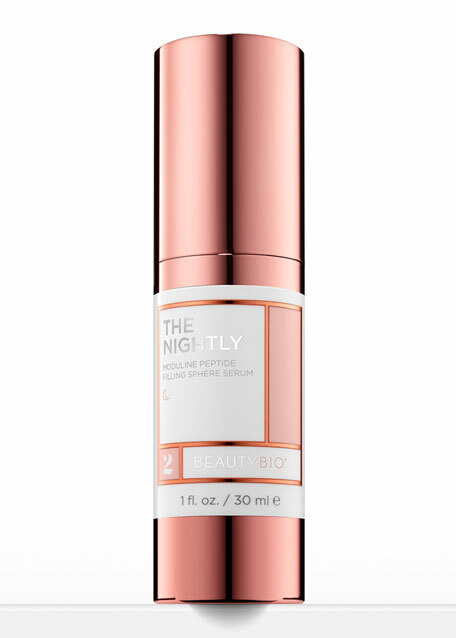 Cinnamon Extract and Vitamin E Derivative help reveal skin with an exquisite rosy-looking glow. Peony Root Extract helps achieve a visibly radiant skin surface. Formulated with a pleasurable fragrance of natural rose and orchid. Silky texture feels divinely soft on skin. Use morning and evening after balancing skin. Press the pump once to dispense formulation onto palm. 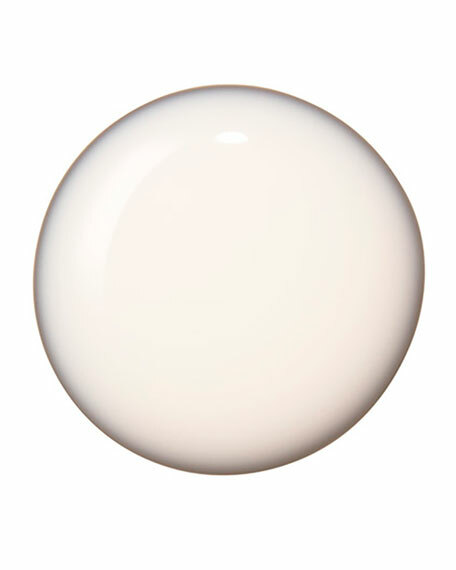 Gently smooth over the whole face, paying special attention to spots, freckles and areas of uneven tone. 40 mL / 1.3 fl. oz. 40mL / 1.3 FL. OZ. 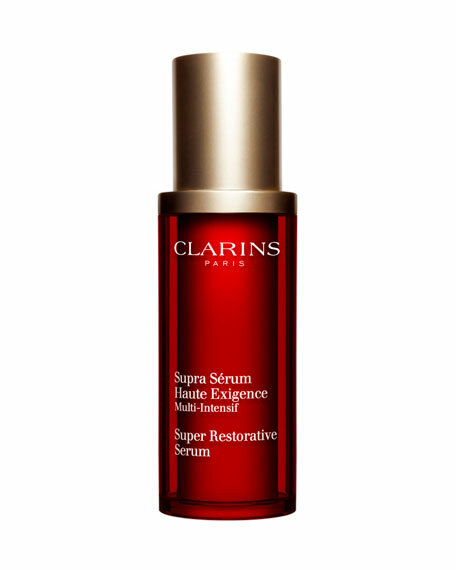 Clarins Super Restorative Remodelling Serum, 1.0 oz.